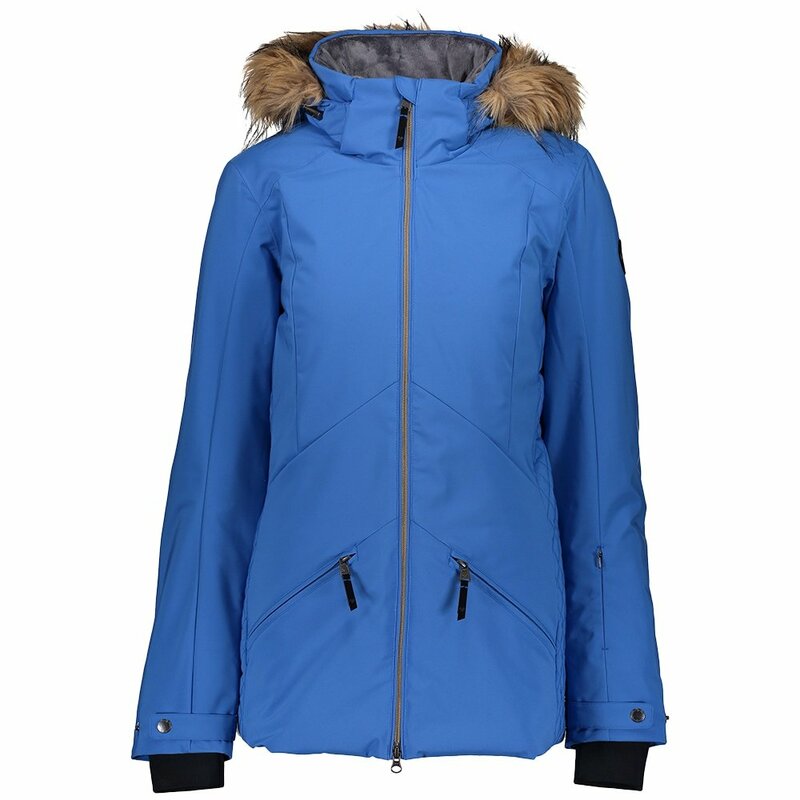 The Obermeyer Siren Insulated Ski Jacket with Faux Fur is a warm and stylish jacket designed specifically with women in mind. The quilted panels hold 115g of insulation, perfect for resort skiing, and feature princess seams for a flattering cut. With 15K waterproofing and 15K breathability, the elements also won’t be a problem as this jacket easily blocks snow out with added features like an interior windguard and water-resistant powder skirt. The Obermeyer Siren Insulated Ski Jacket also has a fleece-lined collar and removable 2-way adjustable hood with a snap in faux fur detail for that added luxe look that’s sure to turn heads on the slopes. "This jacket is not as warm as the hadley or the jouell, so do I need to wear another fleece liner underneath?" "Thank you for your inquiry. If you feel cold, we would recommend layering up. Fleece is a great option for a mid layer, fleece will keep you warmer. We hope this information helps! "